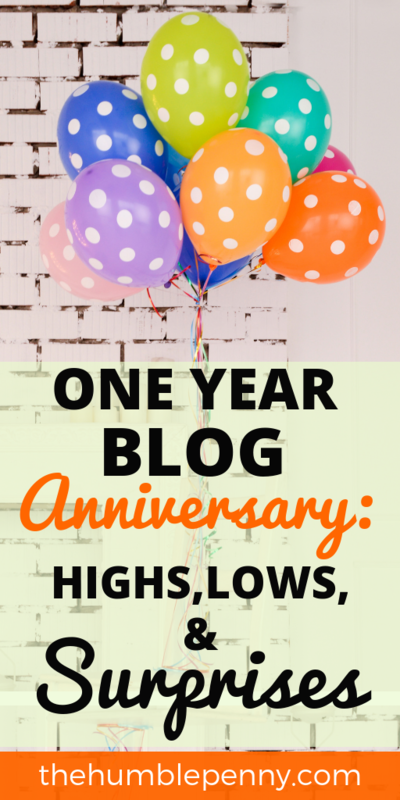 It’s has been one year since we launched this blog! Wow! And what a year it has been. When we set off, we had absolutely no idea what we were doing. We knew why we did it but as I’ve said a few times before, this website is an experiment. Part of what I set out to prove was that something worthwhile could be created with 1.5 – 2 hours a day of time. As a family man with a full time demanding job, I felt I also needed a creative outlet, doing something I had never done before. A series of thought processes emerged, Mary suggested a name and ‘The Humble Penny’ was born. This year has been phenomenal for many reasons, but it hasn’t all been plain sailing. There have been low times as well as surprises that really challenged our belief in what we are trying to do. On a very personal level, I thank God for this year. It's my hardest working year ever! Our marriage and faith have grown immensely as a result of setting off on this journey. 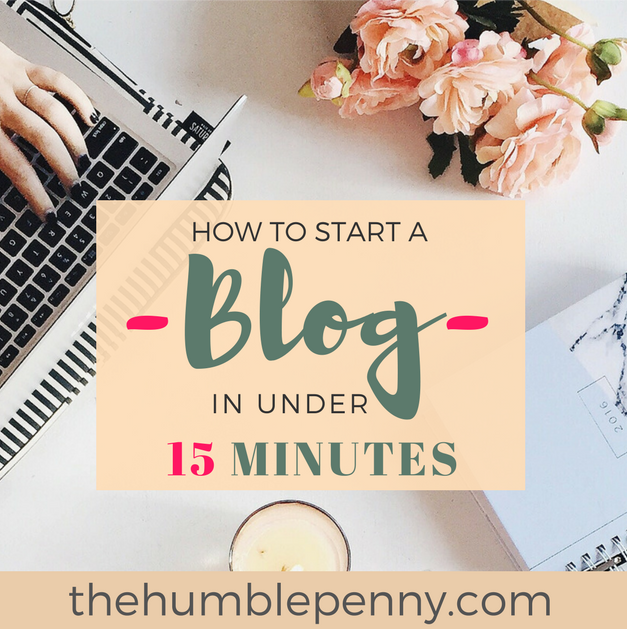 Although you read these blogs and possibly never imagine how they get created, many of them have been mini miracles. One thing we never imagined when we started off was the potential ripple effect this website would cause. We get many messages via email, text, face to face; with many people saying how much this site has meant to them. The feedback has been overwhelming in a positive way. Many have taken action in their financial lives, started businesses, changed jobs, invested in their marriages etc. 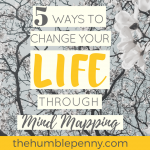 It really has blown our minds just how life changing positive words can have an impact. We have so much to share in this first year, but only so much we can write. This year has seen us go on a journey of authenticity. One major revelation I had in the year was that many things we write about can be replicated by other people. I needed to tell my story and tell it fearlessly. This doesn’t mean that I didn’t have any fear. Ofcourse I did. However, I chose to face up to it and use it to my advantage. Telling my story and journey of transformation has become my advantage. Regular readers of this blog will know that I often say that our perceived disadvantages are really our advantages. It’s often the things you hide away from everyone else, that will help you to soar. Values are very important. Early in the year, I decided to start communicating important values we live by. I call them H.I.T Stories i.e. doing life through Honesty, Integrity and Transparency. Having these values ties very closely with our decision to do all things in an ethical way. And tied to that are our personal beliefs and faith. You see, we could have set-off being like everyone else and essentially become plain vanilla. We didn’t and wanted to be as true and original as possible. Whatever you do in life today, stay authentic. Not everyone will like you, but most people will respect you. I mentioned earlier that I really only have 1.5 to 2 hours a day max to create content and run this site. That slot I found from completely shutting down our TV for ~95% of the year. If you speak to me about TV shows, I can’t have much of a conversation. I do make an exception annually for Game Of Thrones though. Don’t ask! Anyway, a big win this year has been staying consistent with 2 pieces of content per week. We started off with 3 per week, and it proved too challenging and we settled for 2. Batching – We work vertically not horizontally. I.e. we do all writing, then all editing, then all marketing etc. Having Structure – We create content in categories in Excel. Each category has a specific date in the calendar and a specific blog post. We fill this up as we go along. Shared Work – We have specific responsibilities. More in the “Team Work” section below. Scheduling The Week – We use Google Calendar to Schedule specific slots for work in the evenings and mornings. Fighting The Resistance – We say ‘No, thanks’ to most things. We accept only a handful. Following the above means that whether it’s raining or sunny, we deliver 2 pieces of content per week. This year has been a phenomenal year for collaborations. Choosing to collaborate with others is a mindset thing, and the quicker you adopt it, the quicker you’ll see success. One of my most successful collaborations this year was with Barney Whiter from The Escape Artist. 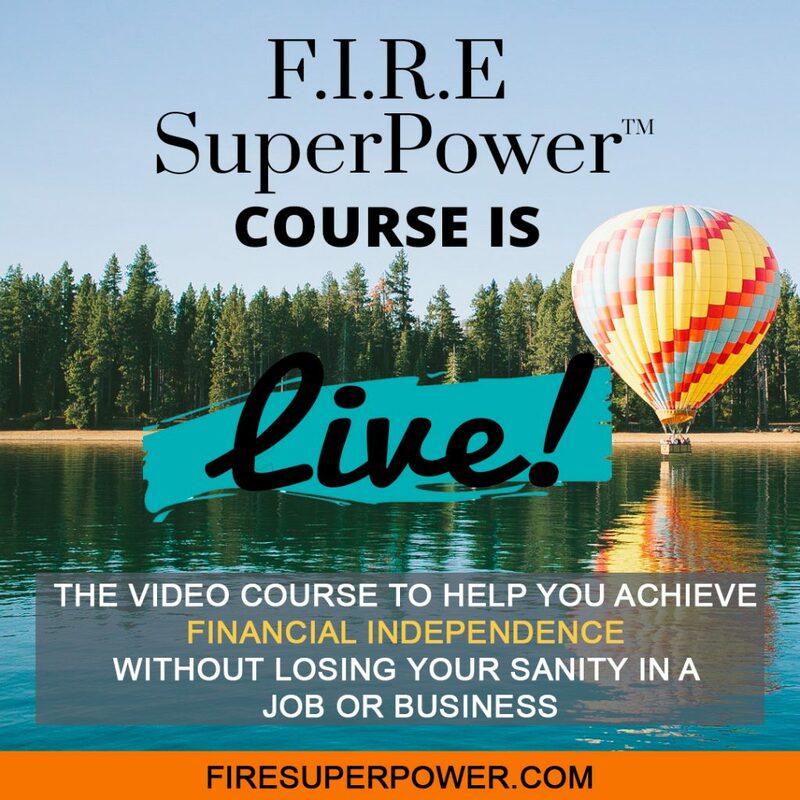 He did an interview on my site to talk about Fear and Financial Independence. Then I got invited to tell my story as an immigrant in a raw way on his website. This collaboration has led to a good friendship and we now regularly share thoughts and ideas. It’s through this collaboration that I first got featured in the media and then a domino effect kicked off. I’ve also collaborated with others such as Alan Donegan from The Pop Up Business School . I did a talk at a PopUp event on ‘Confidence and Retaining Customers’. Then I’ve worked with and spoken on the panel for Steps To Investing, which was my first ever live event. 10 Big Lessons I Learned Starting My Own Business. A big lesson I’ve learned about collaborations is that you should “dig your well before you’re thirsty”. I.e. Build a relationship before asking. Give something first whether it’s an idea, a solution or even buy them a coffee. Reciprocity is a timeless principle and always works in a circular motion. E.g. I have linked to the guys above deliberately to return the love. Massive thanks to all the other bloggers I didn't get to mention above. John at ESI Money, Scott at Making Momentum , Sara at Gathering Dreams , Bob at SeedTime etc. You've all been extremely supportive. My partner on this adventure is my wife, Mary. She’s been phenomenal in ways I can’t write about. Her areas of responsibility are creating beautiful images for our blogs and Pinterest Profile. She is also Chief Marketing Officer, Chief Editor and Chief Moral Support Officer. Then we have Sara, who is our brilliant tech wizz. It is credit to her that we won The Best Designed Money Blog Awards at the SHOMOS. She brought our design dream to reality after many iterations. The really important point to make about teamwork is that there is no growth without an effective team. You need people who are properly incentivised and understand the vision. A really good example of this is the decision to appear in the media. If this website was going to become known, I really had to get outside my comfort zone. Key for me was making sure that I told H.I.T Stories and stayed authentic. Taking this risk has paid off as the traffic to the site rocketed and continued to grow. It also comes at a cost as there are people who naturally might not like what we do. I also took a risk with adding my face to the homepage of the website as well as my full name. This took quite a while for me to take this leap. I had privacy concerns and also a fear of judgement. Related post: Your Name Is Your Asset. Embrace It. Taking this risk has meant that in addition to UK, USA, Canadian, Australian, Indian, European etc readers, we also now have Africans. Support from my wife and family has been invaluable. Very close friends were a bit weird for the first few months but have gradually embraced what we are doing. The feedback from the readers of the blog all over the world has been phenomenal. There is no way we could have predicted any of it. If you’ve sent us emails of appreciation in the past, we really value them. Thank you! We’ve gone from novices at running websites to having some expertise. When I calculated mine and Mary’s time on this website in one year, it is in excess of 1,500 hours. Guess what happens in that time? You become an expert ofcourse. My recent talk at the PopUp Business School on all I have learned blogging was a huge hit! I went from possibly only speaking for 15 minutes, to speaking for over 2 hours. Many people had many questions and I answered them all. So much learning to share on this journey. In addition to taking action, we’ve been reading books and learning from others face to face. I typically meet one person once a week to not only to learn from them but to give back somehow. This has by far been my biggest weakness in the last year. Although we have great plans about what we want to achieve, our kids have theirs too. They ofcourse take priority at all times. So when one decides to sleep and the other doesn’t, all plans have to wait. And in order to stay consistent, we’ve had to find the time from sleep time. This has gotten better though, although it’s still not perfect. Blogging and all things related to it may as well be a different language. My oldest friends are professionals who work in the City. They have little idea about using the internet as producers of content. As such, this journey has been a lonely one in parts as I’ve had to figure things out. It has also forced me to make friends with internet skills. People who run digital businesses. So in a way, although this has been a low, it has turned out well. For example, I now have friends with just expertise in Pinterest marketing. We essentially barter trade our expertise. I’ve invested a lot of my own money and time into this platform. A lot is spent on technologies that you don’t see and various things that keep this site running seamlessly. This has remained a challenge as there is always an opportunity cost with money spent. And what is my reward? Well, knowing I'm doing something purposeful. Balancing work, family life, social life and running a passion project is hard work! Striking the balance has been tough and required a lot of prioritisation. There is always a true cost when balance isn’t achieved. For me, it has either been missing out on some weekend parties with my kids or saying no to opportunities. Time is so precious and a huge focus for us currently is getting more of it back. There was no way on earth I could have predicted that we’d have an award winning website. 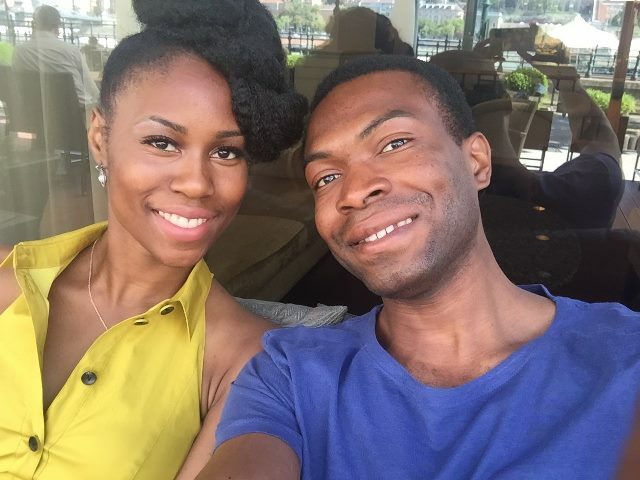 We got nominated for 5 awards at the UK Money Blogger Awards called the SHOMOS. 1st place for “Best Designed Money Bog”. 2nd place for “Best Personal Finance Blog” and “Best Money Making Blog”. To have won these in less than 1 year of blogging has been a lovely surprise. It has also meant that we now have the opportunity to grow further and work with certain brands. Blogging isn’t just about producing content. It is more about traffic if you expect it to generate an income. Although we didn’t start the blog with a traffic goal, I became obsessed with achieving 25,000 sessions in a month. I loved this challenge as it forced me to be creative. I used everything I had including platforms such as Whatsapp to drive traffic. It helped that I understood how to use The Dream 100 strategy coupled with Media appearances. We hit 25k in September and this opened up a new line of revenue for the site through selective programmatic ads. Tied to this, we’ve seen a sharp growth in our subscriber base. All this will help the site have more offline impact. More on this below. I’ve been positively overwhelmed by the good media pieces we’ve been exposed to. We’ve been featured on the BBC TV, Channel 5 TV, BBC Radio, The Mail Online, Closer Magazine etc. We have also been featured on Podcasts with Financial Independence Europe and UK FI Pod. More to come. Massive thanks to all the journalists and content creators. We really appreciate working with you. 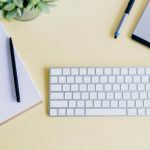 Do I Make Money From The Blog? Just in case you’re curious, I currently do not take any income from the blog. However, the site does generate its own revenue and is becoming ever more sustainable. Thank you to all who continue to support us through various means. All income generated by the site is currently reinvested into the site re product development, technology, people, projects etc. I don’t show off about this because it’s not who I am. However, I do tell some insiders about it when I offer blog coaching. I personally generate an income from my day job and from other personal investments. We have a ton of ideas for the blog and where we’d like to take it for the second year. Most importantly, we’d like to hear your views as the audience. 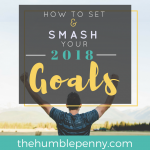 Investing, Making Money, Saving, Budgeting, Case Studies, Side hustles, Life hacks, Relationships Financial Independence ? Or other ideas? Please tell us in the comments. 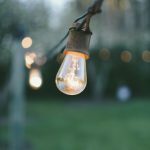 Social – Better engagement on Social Media and The Humble Penny Community. Brands – We’ll only ever promote products that we believe will help you. As such, we’ll seek out more brands and products. Video – We’ve been creating a studio at home and will start delivering more video content. Our goal is to create a proper YouTube channel. eBooks – We expect to create more digital downloads to help you in bite sized ways. Speaking – I hope to do more speaking at live events and conferences. I would also like to do a TED Talk. So do please reach out if you’ve got an opportunity. Book – Dare to dream? Well, I hope one day to write a bestseller. Just an idea for now. Partnerships – We aim to partner with other organisations for some philanthropic impact. All in all, this year has been fantastic. It has been very tough in parts, but overall, very rewarding. We thank you once again for continuing to read and support The Humble Penny. Please feel free to share your thoughts on the above or any ideas you have in the comments. What has been your experience of reading the blog in the last year? 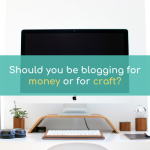 Should You Be Blogging for Money or for Craft? 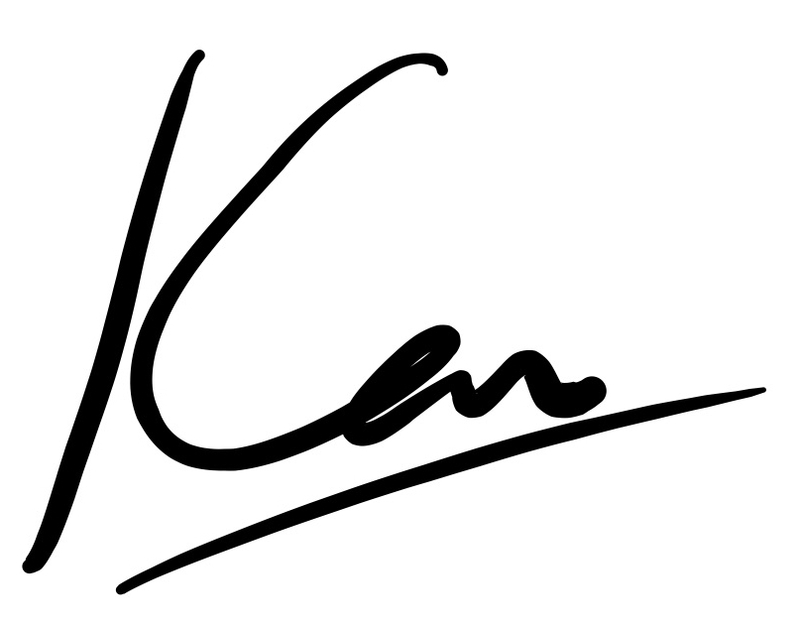 Brilliant Ken, and congratulations to you and your wife. You continue to be such an inspiration for me. I’ve gleamed even more help and advice from your post today and it’s been my fav one so far. Thank you :). We’re pleased to be an inspiration to you. It means a lot to us that you find our content helpful. I checked out your blog and it’s pretty cool! Well done for getting started and going live! I know what a challenge it is to start something and actually put it out there for the world to see. I’m very excited about 2019 too. I’m currently counting down to Christmas as we’re off to West Africa for a break. Should be a good opportunity to think more about what the new year might bring. Quite a year you’ve had. The blog is excellent and always good to read – so glad you write it and that I found it. I like your perspective as a family man and as someone who intelligently thinks for themselves and the passion with which you write your blog. Really pleased to see you stop by. Thank you!! Your support and time spent reading is much appreciated. 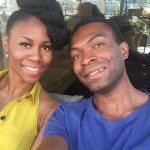 Good to see another blogger covering family finances. I’ll be spending time on your blog too. Hope we can collaborate some time. 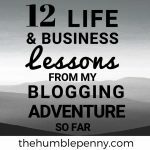 Well done again on your blog/busines success! You have achieved a great deal in a short time. I am sure you are glad you took the leap. What is the worst that could happen? Anyway have a great Christmas Break and come back refreshed with more ideas. We have had quite the turmoil in the financial markets in the last quarter. I will like to hear your take on staying focused on your life goals but also being flexible to change if need be. Thanks, man! Really appreciate that 😀. Rock on 2019!! Nice & Congratulation for one year anniversary. I’m late to the party. But congratulations Ken and Mary! It’s been a joy watching your blog grow and I’m definitely feeling inspired by you. I also second making time of Game of thrones because you know, we gotta see who rises to the iron throne! Haha Laura!! Great to know you’re a GOT fan too! Thanks for following the blog. We enjoy your content too! Should Couples Have Separate or Joint Bank Accounts?